“A Greensboro pastor was arrested Thursday night after being accused of molesting four children of his church. 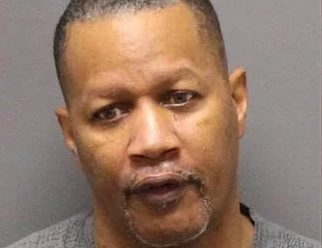 According to court documents, 61-year-old Kenneth Leon Fairbanks is charged with four counts of committing a lewd and lascivious act on a child under 16 years old. WGHP reports he was arrested Thursday after a year-long investigation. Documents indicate that Fairbanks, the pastor of Faithworks Ministry in Greensboro, committed the alleged crimes between 1997 and 2016. Officials said the victims were members of the church. “A Greensboro pastor is in jail on charges of taking indecent liberties with four children. According to court documents, Kenneth Leon Fairbanks, 61, is charged with four counts of committing a lewd and lascivious act on a child under 16 years old. Fairbanks was arrested Thursday; a result of what court documents say was a year-long investigation. Court documents indicate the accusations against Fairbanks, who is a pastor at Faithworks Ministry in Greensboro, date from 1997 to 2016. The court documents indicate the victims were members at the church when they were molested. According to court documents, the victims range from 12 to 14 years old. His son, Brian Fairbanks, said he came into town as soon as heard the news about his father. He said he thinks his father is innocent. “My father is a father first, a pastor, an upstanding citizen, a loving father and a loving grandfather to a host of kids. People that know him could definitely tell you, you know that this is not in his character,” Fairbanks said. “He’s a community leader so a lot of people know him and a lot of people are calling around trying to figure out what’s going on. That’s basically as a family what we are trying to do right now is figure out what we need to do and go from there,” he went on to say. Fairbanks funds a church in Africa and he was ordered by a judge to turnover his passport.